The SteelSeries Arctis Pro+GameDAC is an excellent gaming headset with a lot of customization options, great sound quality, and a sturdy, comfortable design. 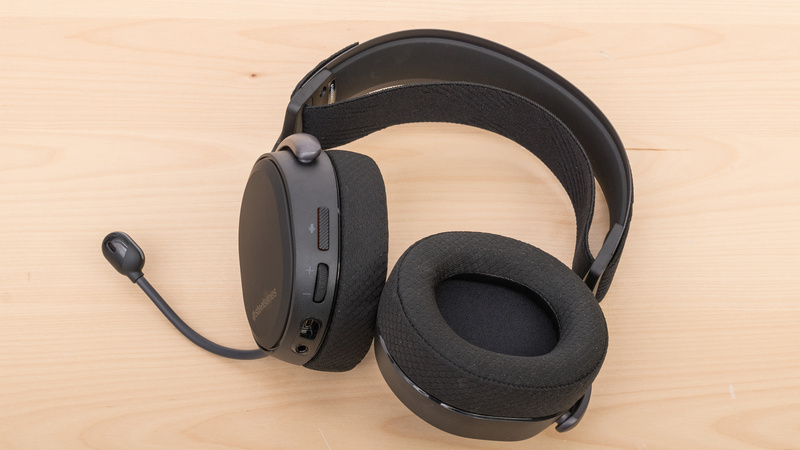 They look fairly similar to the Arctis 7, but they are wired and come with a DAC that provides a lot of connection options and settings you can tweak without needing the SteelSeries Engine software. Unfortunately, they will not have the convenience of a wireless headset when gaming on consoles or watching TV. Good audio and microphone reproduction. Can be a bit tight for some listeners. Update 2/15/2019: We've updated the breathability section of the review to better reflect a typical use case for an average user. Update 12/12/2018: We've updated the microphone category text. The SteelSeries Arctis PRO+GameDAC have the same look and feel as the Arctis 7. They have almost the same design, with similar ear cups, but a more rounded headband that better fits the contours of your head. They also have a simple elastic strap to adjust the fit of the headphones which works well, but also makes the headphones feel a bit tight on the head since the frame itself doesn't extend further to accommodate for bigger head sizes. On the other hand, they are comfortable headphones for most, thanks to their spacious and well-padded ear cups and ergonomic controls. They also have a retractable mic and a 1/8" TRS adapter so you can use them as casual headphones outdoors, although they are a little bulky and even less portable if you also consider the DAC (digital to analog convertor). The SteelSeries Arctis Pro+GameDAC looks very similar to the Arctis 7. They have the same wide metal frame, with an elastic strap reminiscent of ski goggles to adjust the fit. The headband of the Arctis Pro, however, is slightly more curved to better fit the contours of your head. Overall the build quality of these headphones feels as premium and durable as the Arctis 7's and they also have a retractable mic which makes them look a bit more like casual headphones. They are not the flashiest gaming headsets, but the understated look will work for most, especially if you want to use them outdoors. The SteelSeries Arctis Pro GameDAC are fairly similar in design to the Arctis 7. They have the same headband strap with the ski goggle-like elastic band to adjust the fit. The ear cups are large, spacious and coated with a breathable and soft padding. The headband is also slightly less tight on the head. Unfortunately, the length of the elastic strap is limited by the Velcro latch on top of the headband which doesn't expand further than its original shape. 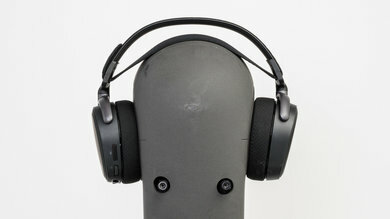 This means they do not extend far enough for all head shapes and sizes and may feel a little tight for some listeners. 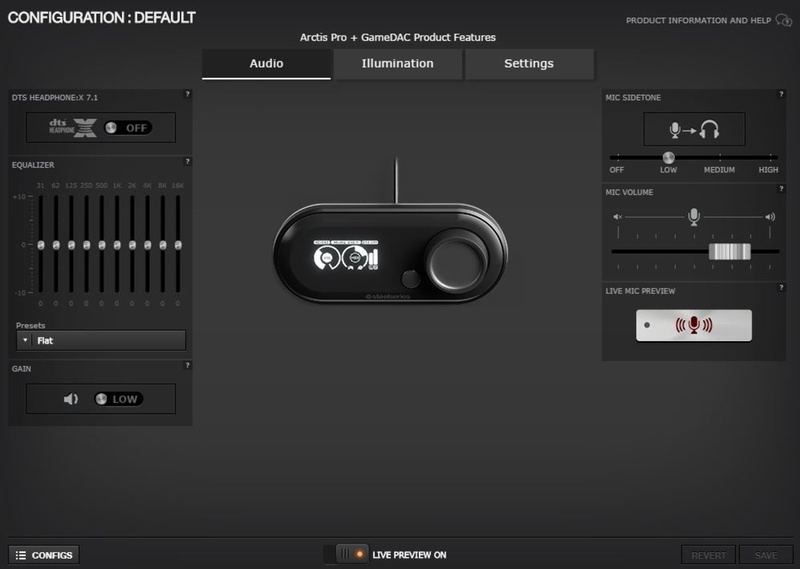 The Arctis Pro's control scheme is a little different from that of the Arctis 7 since they're wired and come with a DAC (digital to analog convertor). On the headset, there is a volume dial as well as a microphone mute switch, and on the DAC, you have the channel mixing dial that also acts as a multi-function button when you press and hold. It allows you to switch between presets and EQ modes. All the buttons have great feedback and do not take a lot of time to get used to. The SteelSeries Arctis Pro + GameDAC have a somewhat breathable design, thanks to the porous padding on their ear cups. However, they are still closed-back over-ear headsets, so they will make you sweat if used while working out. They're not the most suitable option for sports or exercising but should be fine for more casual gaming and listening sessions. Update: 15/02/2019: We've retested and updated the breathability score. The very similarly designed Arctis Pro wireless had a much worse performance for breathability. We since double checked and can confirm that this is also the case for the wired GameDac variant. Like the Turtle Beach Elite Pro 2 SuperAmp and most gaming headsets, these headphones are not the most portable. They have large ear cups, a rigid headband and do not fold into a more compact format to save space. Also, they come with a DAC that further reduces their portability but you can also use them passively with the provided audio cable and adapter. Overall though they won't be the easiest headphones to carry around on your person unless you have a bag or a backpack. The SteelSeries Arctis Pro GameDAC do not come with a case or pouch. The build quality of the SteelSeries Arctis Pro is slightly better than the Arctis 7 but not significantly so. They have slightly stronger hinges/yokes but the same great and sturdy metal design. 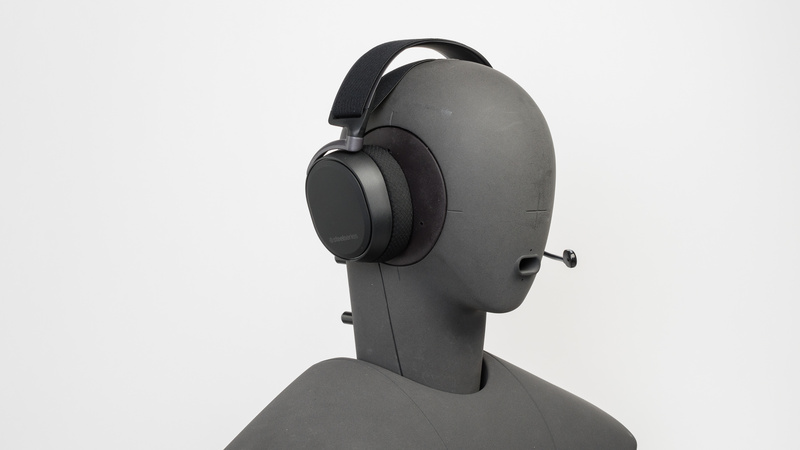 The ear cups are dense and durable and have magnetic back plates which you can remove. Overall they feel strong enough to withstand multiple accidental drops, and even the mic is well made and flexible enough that you can bend it all sort of ways without damaging it. It also conveniently retracts into the left ear cup so that you can use the Arctis Pro outdoors as a regular wired headset. The SteelSeries Arctis PRO +GameDac have a decently tight fit on the head that prevents them from moving much once on your head. They're stable enough for most activities but are still quite bulky and cumbersome headphones so they won't be the ideal choice for more physically demanding exercises. Also, since they are wired, unlike the Arctis 7, there are more chances that they get yanked off your head because the audio cable got hooked on something. 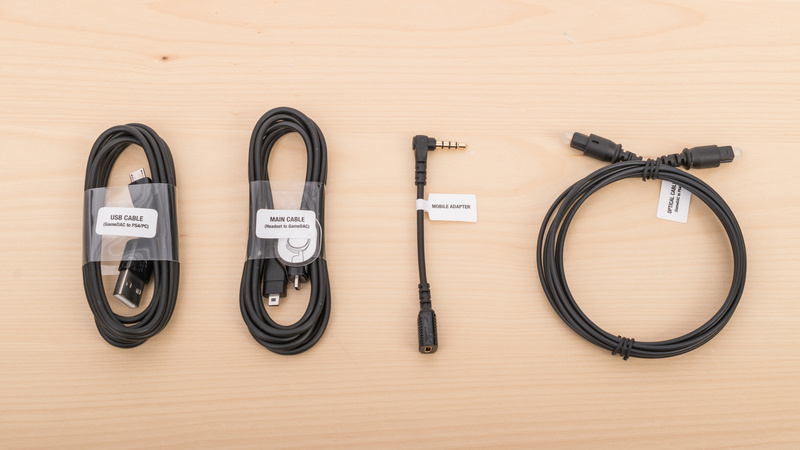 They come with 3 cables: a USB power cable for the DAC, a proprietary audio cable, a 1/8" TRS adapter and an optical audio cable. The Steelseries Arctis Pro GameDac is a great sounding pair of closed-back over-ear gaming headphones. They have a deep, thumpy, and punchy bass, a well-balanced and even mid-range, and a detailed and present treble. This makes them a well-suited for a wide variety of genres, from EDM, movies, and video games, to rock, indie, and audiobooks. However, their bass and treble delivery is prone to inconsistencies across different users and positions, and their mid-range could sound a tad thick on vocals. Additionally, they have great imaging, but like most other headphones, they don't have a large and speaker-like soundstage. This headphone was measured with the Flat EQ setting. They have an excellent bass. LFE (low-frequency extension) is at 10Hz, which is great. Low-bass, responsible for the thump and rumble common to bass-heavy genres like EDM and Hip-hop is flat, but over our neutral target by 1.6dB. Fans of bass may appreciate the extra thump. Mid-bass, responsible for punch, and high-bass, responsible for warmth, are within 0.7dB of our neutral target. Overall, the bass of the Arctis is deep and thumpy, similar to the Arctis 7, but without sounding too heavy or boomy. Also, their bass delivery varies significantly across users, and is sensitive to the quality of fit, seal, and whether you wear glasses. The response here represents the average bass response and your experience may vary. The Arctis Pro have a great mid-range. The response, throughout the range, is even and flat. However, low-mid is overemphasized by more than 2dB, adding a tad of thickness to vocals and clutter to the overall mix. The treble of the Artics Pro is very good. Low-treble shows a narrow 7dB dip around 3.5KHz, which will have a subtle but negative effect on the detail and presence of vocals and leads. The rest of the range is relatively even and well-balanced, with mid-treble being within 0.15dB of our neutral target. Also, their treble delivery varies noticeably across users. The response here represents the average response and your experience may vary. The Arctis Pro has a sub-par frequency response consistency. In the bass range, the deviation across our five human subjects is quite wide and deep, reaching almost 7dB. This will be easily noticeable. Also, having glasses on seems to increase chances of experiencing a drop in bass. 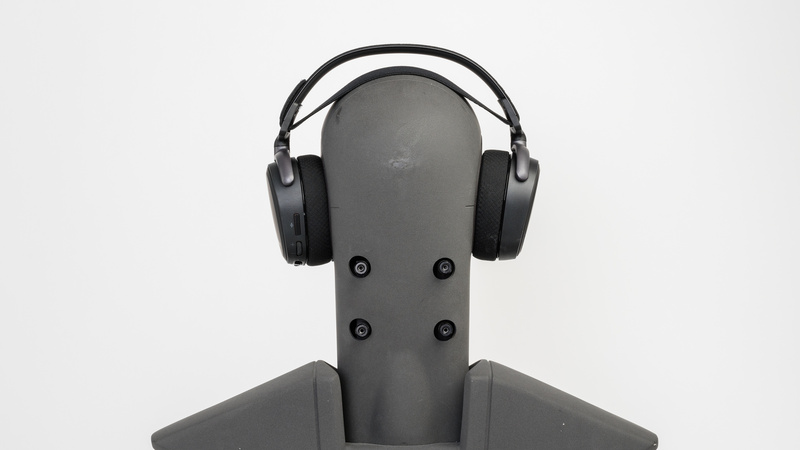 In the treble range, there's close to 9dB of deviation depending on the position of the headphone on our dummy head. The imaging is great. Weighted group delay is at 0.16, which is within very good limits. The GD graph also shows that the entire group delay is below the audibility threshold, suggesting a tight bass and a transparent treble. Additionally, the L/R drivers of our test unit were very well-matched in frequency, amplitude, and phase. This is important for the accurate placement and localization of objects (voices, instruments, video game effects) in the stereo field. The soundstage of the Arctis Pro is about average. The shape of the PRTF response isn't very accurate, but it shows a lot of activation around 4.5KHz. This suggests that their soundstage may be perceived as relatively large, but a bit unnautral. The dip around 10KHz helps with bringing the soudnstage out of the listener's head and to the front. The harmonic distortion performance of the Arctis Pro is above-average. The overall amount of harmonic distortion is slightly elevated, but not by much. Also, there's not a big change in THD under heavier loads, which is good. The Steelseries Arctis Pro GameDAC have the same porous pads of the Arctis 7, which makes them a bit more comfortable to wear for long gaming sessions, but also lets noise seep into your audio. This, unfortunately, means they won't be the best headphones to use outdoors in public transit or at loud gaming competitions since your audio will be somewhat drowned out by the ambient noise. On the upside, they do not leak too much at moderate volumes so they won't be distracting to those around you, and you can turn your volume a bit higher than typical gaming headsets to mask some of the noise in loud environments. The isolation performance is sub-par. In the bass range, where the rumble of airplane and bus engines sits, they don't achieve any isolation. In the mid-range, important for blocking speech, they isolate by 9dB, which is about-average. In the treble range, occupied by sharp sounds like S and Ts, they achieved 32dB of isolation, which is good. It should also be noted that these headphones produce a considerable amount of self-noise at maximum volume. The SteelSeries Artics Pro have an average leakage performance. The significant portion of their leakage is spread between 500Hz and 3KHz, which is a relatively broad range. However, the overall level of leakage is not very loud. With the music at 100dB SPL, the leakage at 1 foot away, averages at 42dB SPL and peaks at 55dB SPL, which is just above the noise floor of most offices. The SteelSeries Arctis Pro has a very good boom microphone. In quiet environments, speech recorded or transmitted with this mic will sound deep, detailed, and intelligible. However, it could also sound overly bright and sharp at times. In noisy situations, it performs very well and can separate speech from background noise even in very loud environments, like a subway station. Update: 12/12/2018: The SteelSeries Arctis Pro mic has quite a bit of buzzing white noise especially at high mic volumes which may be distracting and even a deal breaker for some. This seems to be a grounding issue since if you cover the mobile and line outputs on the DAC the buzzing is attenuated or stop completely depending on the volume level of the mic. We've added microphone self-noise to the list of potential test bench updates, however for now reducing the mic volume via the settings in the game DAC reduces the buzzing to a more tolerable level, while still reproducing your voice accurately and filtering background noise. The Arctics Pro's boom mic has a good recording quality. 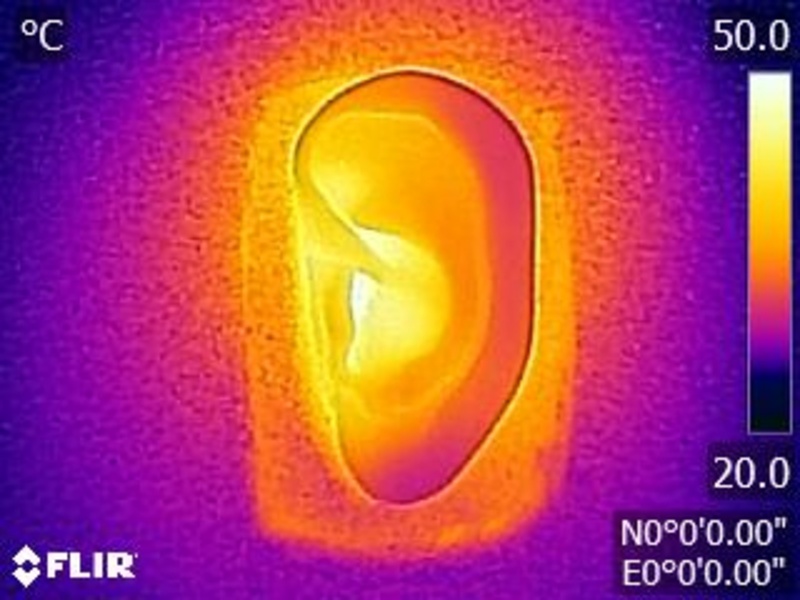 LFE (low-frequency extension) is at 86Hz, which is very good. This means speech recorded/transmitted with this mic will sound deep and full. The HFE of 10KHz is also very good, which ensures a detailed and present speech. However, the 10dB bump in treble, surrounding 5KHz, makes speech overly bright to the point of sounding sharp. On the plus side, speech is very clear and intelligible on this mic. The boom microphone is great at noise handling. In our SpNR test, they achieved a speech-to-noise ratio of 33dB, which means they can separate speech from ambient noise to a great degree even in very loud and demanding situations. 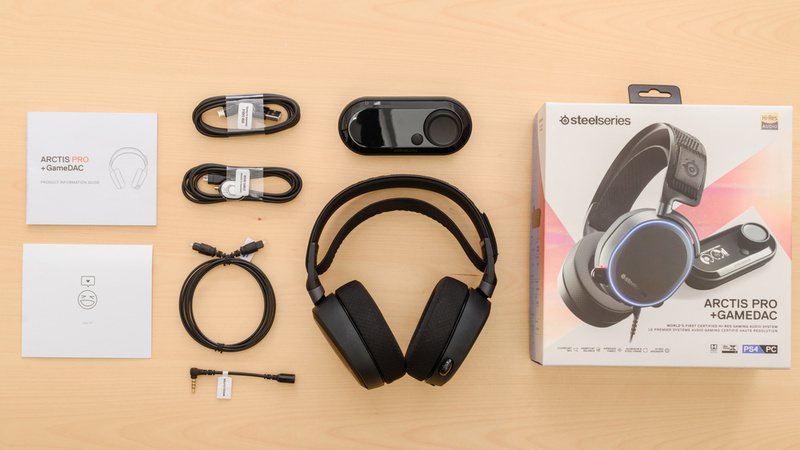 The SteelSeries Arctis Pro GameDAC are a wired gaming headset with a DAC (digital to analog convertor) that draws its power from the USB port of your PC or console. This means the headphones have no battery and can also be used passively with the 1/8" TRS adapter. They also support the SteelSeries Engine which provides a lot of customization options for both the headphones and the DAC, which further enhances your gaming experience. You get a lot of control over the mic settings, a great parametric equalizer and customizable light settings for the LEDs on the ear cups of the headphones. These headphones do not have a battery. They connect via the gameDAC or a USB port for power. You can also use them passively with the 1/8" TRS adapter. The SteelSeries engine offers a lot of customization options when paired with the Arctis Pro + GameDAC. You get a great equalizer with presets, DTS surround sound, live preview, mic monitoring, volume control for the mic and led settings for the headphones as well as the DAC. You can save your configuration under the config tab so you can quickly switch between your different settings. It's a great app overall that feels useful. It adds a lot of features to personalize your experience with these headphones. These headphones are wired but come with a DAC (digital to analog convertor) that offers multiple connection options. The DAC has a regular audio jack input as well as an optical and the USB port works as the power source and audio input when connected to your PC or PS4. You can also use their audio cable with the 1/8" TRS adapter with most of your devices including your Xbox One which, unfortunately, isn't compatible with the DAC. They also won't have the range and convenience of the Arctis 7 since they are not wireless. The Arctis PRO+ GameDAC do not have Bluetooth connectivity. If you want a gaming headset that also supports Bluetooth, check out the Turtle Beach Elite 800. The SteelSeries Arctis PRO+ GameDAC have a proprietary audio cable that isn't OS specific and comes with a 1/8" TRS adapter that makes them compatible with most devices. They will support voice chat if you connect them to your console controllers but via USB they will only have full support for the PS4 and PC. These headphones come with a proprietary DAC (digital to analog convertor) that has multiple inputs. They have an optical-in, a line-in, USB and a line-out. 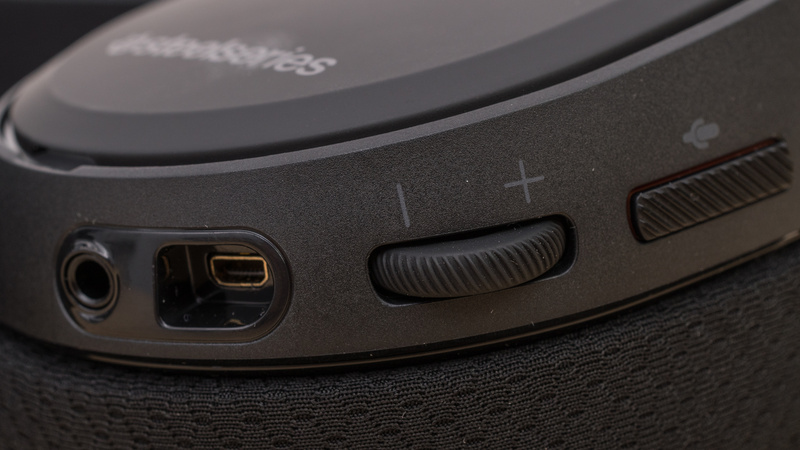 The DAC is much larger than the wireless dongle of the Arctis 7, but it also provides some onboard controls so that you do not have to use the SteelSeries engine software to change EQs or surround sound settings. These headphones are wired so they have no wireless range (see our recommendations for the best wired headphones). These headphones are wired with a DAC that adds a negligible amount of latency. You will not notice any delay when gaming or watching movies. The SteelSeries Arctis Pro+GameDAC are great gaming headphones. 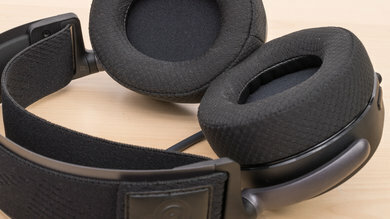 They have a good sound quality, a sturdy, comfortable design and a lot of customization and connection options. They are wired and come with a DAC that makes them a good choice for gaming on PC (they're one of the best gaming headsets for PC we've reviewed so far) but won't be as convenient as some of the wireless models below for gaming on consoles. Unfortunately, they're about the same price as the Arctis 7 which are wireless so they might not be the ideal choice for all gamers. 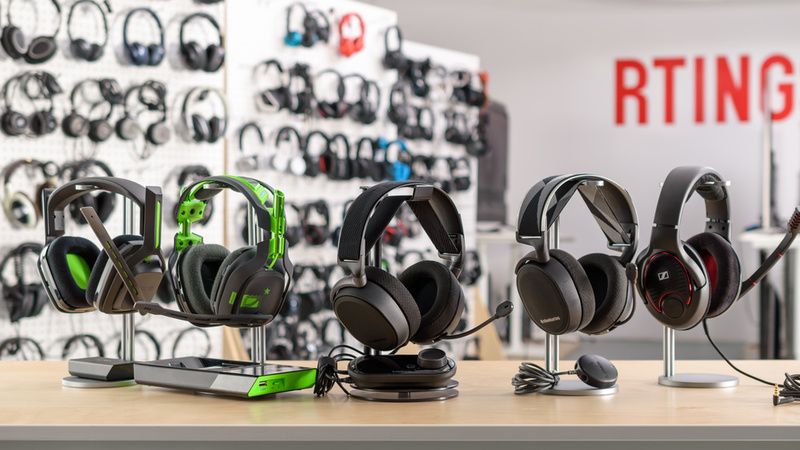 See our recommendations for the best headsets for Xbox One and the best PS4 headsets. The Astro A50 and the SteelSeries Arctis Pro GameDAC are two great gaming headsets, but the Astros are wireless while the Arctis Pro GameDAC are wired. The Arctis Pro might have a small edge over the Astros, thanks to their better microphone recording quality. The fact they can be used without their dock makes them quite more versatile. You also get multiple customization options at the tip of your fingers, thanks to the GameDAC. On the other hand, the Astro A50 might feel more comfortable for some and perform more consistently on different heads. The SteelSeries Arctis 7 and the SteelSeries Arctis Pro GameDAC are pretty much the same headset, but the Arctis 7 is wireless while the Pro GameDAC isn’t. They perform similarly in most of our tests, so you might have to choose between wireless freedom of the Arctis 7, or easy access to controls and customization options on the GameDAC. Both are great gaming headsets, but some may not want to worry about battery life for that usage. The SteelSeries Arctis Pro GameDAC is a slightly better gaming headset overall when compared to the Audeze Mobius. The Arctis have a more premium-looking design and come with a DAC that gives them a lot of control over their active features. With the DAC you can easily change the EQ mode's inputs, outputs, surround sound effects, and the RGB lighting options. They also have more customizable sound and microphone options via their app. 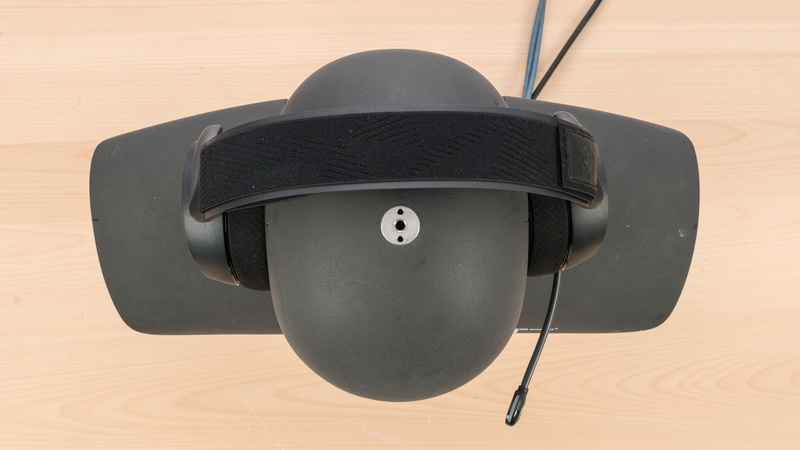 On the other hand, the Mobius have a unique head-tracking feature that helps them build a larger soundstage (which unfortunately we couldn't measure with our current test bench). They also have a slightly better sound and an over-ear fit that also works for a wider variety of gamers, unlike the Arctis Pro's elastic strap design. Also, you can use the Mobius a bit more casually with your phone since they are also a Bluetooth headset. The SteelSeries Arctis Pro GameDAC is a better headset than the Turtle Beach Elite Pro 2 SuperAmp. The DAC give them a lot more control over the active features than the AMP of the Elite Pro2. You can easily change EQ modes, surround sound effect and the RGB lighting options. The AMP only offers a volume knob. They have better sound quality and have better isolation performance. The Arctis Pro are compatible with every platform while you are a bit limited with the Elite Pro 2 since you have to get the right version of the headset for your console. However, the Elite Pro 2 SuperAmp has a slightly better microphone and looks more solid thanks to the metallic headband support. It also has a more gaming look if that’s something you’re looking for. They also have an over-ear fit that works for a wider variety of gamers unlike the ski google strap headband of the Arctis Pro. Decent for mixed usage. The Arctis Pro+GameDAC are great gaming headphones with a regular audio jack so you can use them with your phone. This makes them versatile enough for outdoor use, but they won't be the ideal option for commuting or sports due to their poor isolation and relatively bulky design. 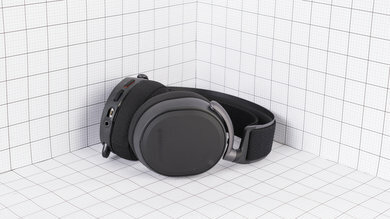 On the upside, they are a good choice for watching videos thanks to their low latency wired connection, and they're also a great choice for critical listening since they have a balanced and customizable sound and a comfortable design you can wear for hours. Great for critical listening. They have a well balanced audio reproduction with a pronounced bass range that is better than that of the Arctis 7. It provides a bit more rumble and doesn't clutter the instruments and vocals in the lower mid-range. However, they also have the same dip in the high frequencies that results in a slight loss of clarity and detail, especially for some lead instruments. Overall, they have a very good sound that will satisfy most listeners, especially since you can customize it to your liking with the DAC or the SteelSeries software. 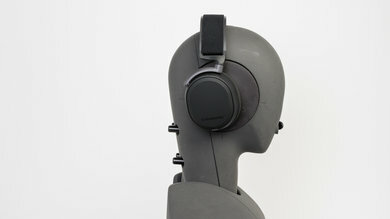 Unfortunately, they won't have the soundstage of more critical listening focused headphones with an open-back design. Below-average for commuting. They provide a regular aux cable, and you can use them passively unlike some of the other gaming headsets we've tested. However, they do not isolate very well in loud environments and they're a bit bulky and cumbersome. They're even less portable if you also have to carry the GameDAC. Above-average for sports. 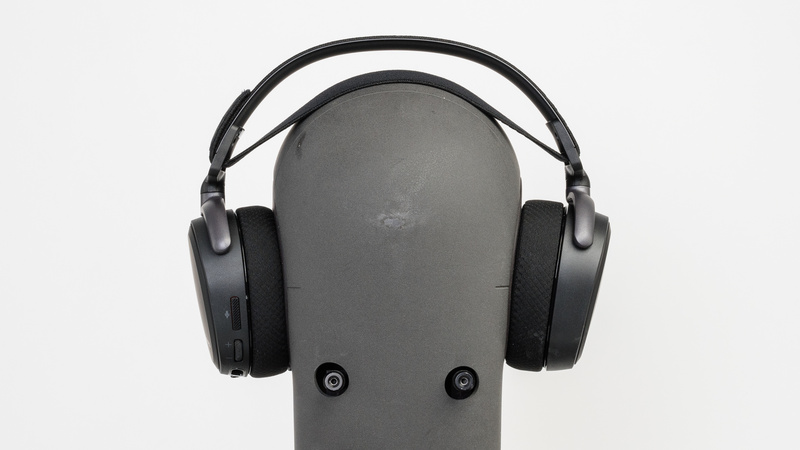 The SteelSeries Arctis Pro are bulky but have breathable padding on their ear cups. You can also use them wired with mobile devices and they're decently stable thanks to their tight yet comfortable fit. However, they won't be the most practical for physical activities. Decent for office use. They have good customization options with the SteelSeries engine, and they're comfortable enough to wear for long hours and they do not leak as much as other gaming headsets. Unfortunately, they also do not block a lot of noise so you will hear the ambient chatter of a lively office. Good for home theater use. They have a low latency wired connection, a good sound, and a comfortable design. Unfortunately, they are wired unlike the Arctis 7 so they will not have the range to comfortably watch movies from your couch unless you have an extension cord for their relatively short audio cable or you watch movies on your tablet and/or PC. The Steelseries Arctis Pro+GAmeDac are great gaming headphones. 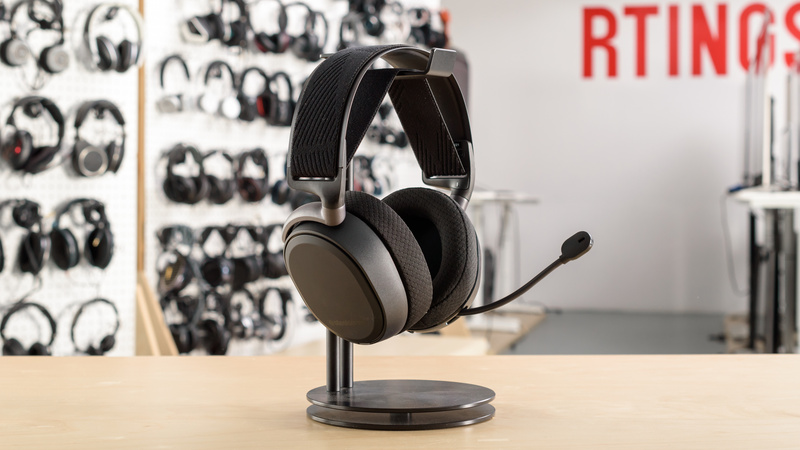 They have a low latency wired connection, a very good and well-balanced sound that you can customize via the SteelSeries engine, and an excellent mic that filters a lot of noise. The added DAC offers a lot of connection options and customization features right at your fingertips without needing the software. They won't be the most isolating headphones to use in loud environments but they perform well in all the important categories that matter for gaming.